Cipla was established in the year 1935 with the vision of making India self-reliant and self-sufficient in healthcare. Today, Cipla is one of the most world's largest generic pharmaceutical companies with a presence in over 170 countries. Cipla is renowned for making affordable, world-class medicines that meet the needs of patients across therapies. It also offers services like consulting, commissioning, plant engineering, technical know-how transfer and support. It was Incorporated in the year 1935. 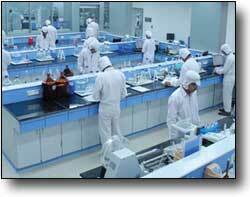 The Corporate Office of Cipla Ltd is situated in Mumbai Central, Mumbai 400 008, India. The Chairman is Dr. Yusuf K. Hamied and Executive Vice-Chairman is Mr. M.K. Hamied. The company has been listed in the Equity Shares: BSE Limited and National Stock Exchange of India Limited and as Global Depository Receipts: Luxembourg Stock Exchange. The Turnover of the company is USD 1.5 billion and there are over 20000 Employees. It has got approvals from US FDA, WHO-Geneva, MHRA-UK, TGA-Australia, SUKL-Slovak Republic, APVMA-Australia, MCC-South Africa, PIC-Germany, Danish Medical Agency, ANVISA-Brazil, INVIMA- Colombia, NDA-Uganda, Department of Health-Canada and MOH-Saudi Arabia, among others, establishing well-equipped facilities and safety laboratories. 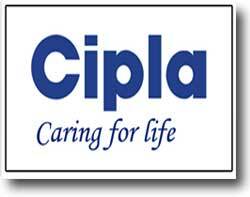 Cipla is one of the world's largest generic companies. It has over 2,000 products, 65 therapeutic categories, and over 40 dosage forms. It has 34 state-of-the-art manufacturing facilities approved by major international regulatory agencies. It has continuous innovation in R&D and boasts over 20 world firsts. Since the inception in the year 1935, caring has been at the core of everything at Cipla. Cipla's journey began in 1935 when its founder, Dr. K. A. Hamied, set up an enterprise with the vision to make India self-sufficient in healthcare. Over the past 77 years, it has emerged as one of the world's most respected pharmaceutical names, not just in India but worldwide. The organization has 34 state-of-the-art manufacturing facilities that make Active Pharmaceutical Ingredients (APIs) and formulations, which have been approved by major international Regulatory Agencies. The organisation have over 2000 products in 65 therapeutic categories; with over 40 dosage forms, covering a wide spectrum of diseases ranging from communicable, non-communicable, common and emerging diseases to even rare diseases. Its Research and Development (R&D) centre is focused on developing innovative products and drug delivery systems, giving the country and the world many 'Firsts'. Today, it is one of the world's largest generic pharmaceutical company with a strong presence in over 170 countries. Cipla maintains world-class quality across all our products and services. In the year 1935, the founder, Dr. K. A. Hamied set up Cipla to make India self-reliant in healthcare. Later in the year 1939, Mahatma Gandhi visited Cipla and inspired the founder to make essential medicines for the country, and strive for self-sufficiency. During World War II, when India was dependent mostly on imported medicines and there was an alarming shortage of life-saving drugs, Cipla manufactured them for the country. In the 1960s, the organization pioneered API manufacturing in the country and helped lay the foundation for the bulk drug industry in India. In the year 1970 Cipla spearheaded the New Patent Law by which an Indian pharmaceutical company was allowed to manufacture a patented product as long as the process to manufacture it was changed. This enabled Indian companies for the first time to manufacture any medicines and make them available and affordable for all Indians. In the year 1978 the company pioneered inhalation therapy in India with the manufacture of Metered-Dose Inhaler (MDI), at a time when the country stopped receiving imported supplies. Today, the company has the world's largest range of inhaled medication and devices. In the year 1994, the organization launched Deferiprone, the world's first oral iron chelator which has revolutionized the treatment for thalassemia. For the first time patients with thalassemia had an option that was affordable, painless and convenient. In 1996, the organization gave the world the first transparent dry powder inhaler which was so simple and easy to use, it changed the face of inhalation therapy in India. In 2001, the company pioneered the access to HIV treatment by making antiretrovirals (ARVs) available at less than a 'Dollar a Day'. The cost of treatment dramatically fell from $12,000 per patient per year to $300 per patient per year. This caused a revolution where HIV treatment became a reality for the world and millions of lives could be saved. During the 2005 Bird Flu epidemic,it produced an anti-flu drug within a period of 2-3 months, which would have normally taken at least 3 years to develop. In 2012, the company made a breakthrough in reducing the prices of cancer drugs, thus making world-class medicines affordable and accessible to cancer patients. The organization is committed to addressing the unmet medical needs of the world by venturing into newer challenges in platform technologies, biotechnology and stem cells. The organisation has a global presence in over 170 countries through exports and strategic alliances. The organisation exports include raw materials, intermediates, prescription drugs, OTC and veterinary products. Cipla has partnerships/alliances for product development, technical support and marketing, and help several developing countries in their quest for self-reliance. The organization has been known for its uncompromising quality standards in all its products and services, across the world. Sustainability is an integral part of Cipla's business strategy. It believes in the responsible management of its growth. This goes hand in hand with caring for the environment and improving the quality of life for society at large. Occupational Health, Safety and Environment (HSE) initiatives are an important part of its business activities. All the organisation facilities maintain high standards of occupational HSE practises and most of them are certified for ISO 14001 and OHSAS 18001 standards. The company has defined environmental strategy that focuses on reducing its carbon footprint by saving energy, and following water and waste management procedures. It is among the first companies to manufacture CFC-free inhalers. Establishing well-equipped facilities and also safe laboratories. Conducting regular safety training programmes, including those on behavioral safety to increase safety awareness at all working levels. Celebrating Safety Week, Fire Service Day and Electrical Safety Day to create awareness and motivate employees. Villagers and school children living around the Company's plants across India also participate in such programmes. Conducting a green drive programme of mass tree plantation to celebrate World Environment Day and Earth Day. Maintaining a modern, well-equipped effluent treatment plant at all its manufacturing facilities. Treated water from these zero discharge facilities is used for maintaining green belts around the factory premises. The Cipla Palliative Care and Training Centre in Pune continues to provide holistic care to terminally ill cancer patients and their families free of charge. Till now the Centre has given treatment, comfort and solace to more than 7,700 patients. The focus of the Cipla Palliative Care Centre is to reach out to more cancer patients who need Palliative Care and to integrate Palliative medicine with curative therapy. There is an extended support to Manavya, a Pune-based organization which runs a home for children with HIV infection. Manavya operates a mobile dispensary in villages on the outskirts of Pune and it is fully funded by the company. On the occasion of Cipla's Platinum Jubilee in 2010, the Cipla Foundation was set up by contributing a sum of Rs. 5 crore. The Foundation aims to provide care and financial support to people in need of healthcare and education in India. In a humanitarian effort to support cancer patients and relieve their burden, Cipla made a breakthrough in reducing the prices of cancer drugs, thus making world-class medicines accessible to patients in India. They work closely with several reputed non-profit organizations such as Drugs for Neglected Diseases Initiative, Medecins Sans Frontieres and the Clinton Foundation in order to make drugs for malaria, HIV/AIDS and several neglected diseases, available at affordable prices. Cipla also provides medicines to treat over a million poor, aged patients in slums and villages through non-profit organizations. In addition, the organization also supports several health, educational and welfare activities in communities surrounding the company's factories, both directly and through its Charitable Trusts, by providing healthcare education, improvement of community infrastructure, scholarships, etc. This is part of its commitment to improve the quality of life for these communities.